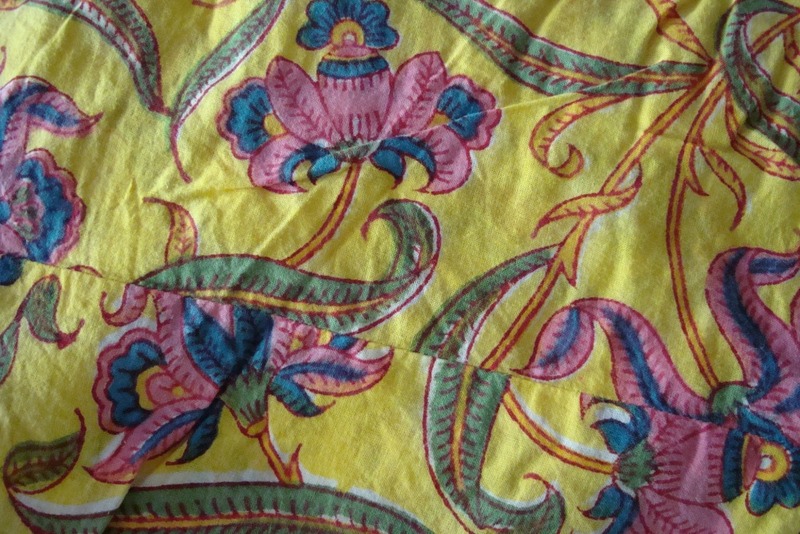 Thus the tunic is completed with the different treatments to the mirror worked florals. Generally I work on symmetrical patterns, this time it was refreshing to work on this pattern.I did not have repeat everything twice, sometimes if I have sleeves to embroider, then it is a four times repeat. The border is partially seen on the sleeves. in this picture. The treatments around the floral mirrors can be used as decorative stitches too. 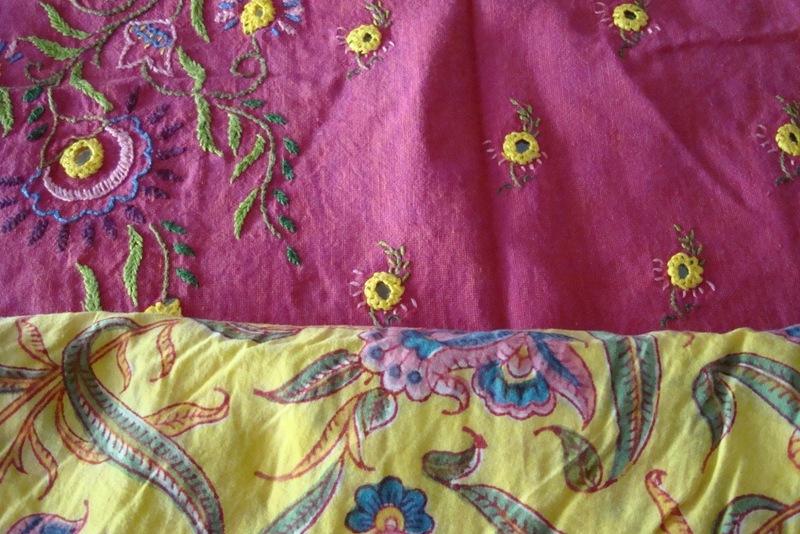 Yellow mirrorwork on pink tunic-3. The next part of the embroidery design on this tunic. The pattern starts from the right shoulder, ends at the waist. The top part of the embroidery was on my previous post, the rest of the pattern is on this post. This was the first time that I used mirror work as a flower motif, the stitches around the mirrors are worked to enhance that effect. I enjoyed working on this pattern very much. The tunic on my next post. 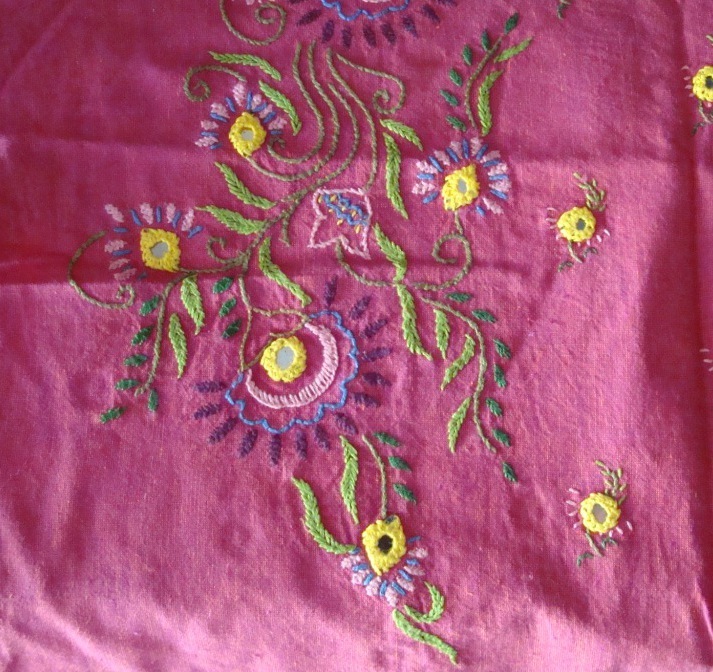 The colours used in this embroidery are based on the colours of the salwar print. 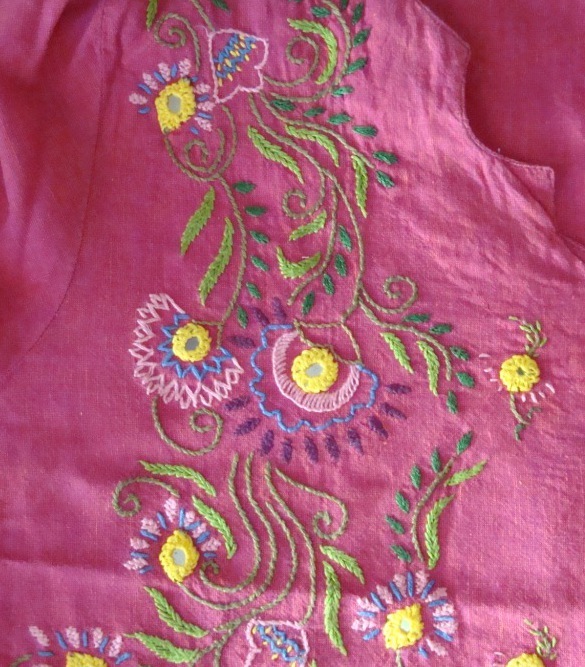 The embroidery pattern fills the front of the tunic, till waist length. The left side , the mirrorwork motifs. The right side is the pattern, which is made of different flowers. The flower centre is a mirror, the outline are worked with different embroidery stitches. The rest of the design on my next post. 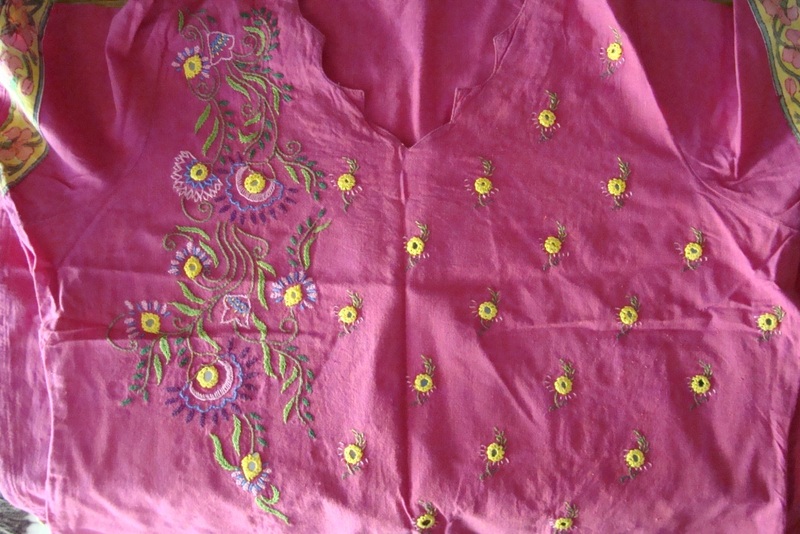 This pink tunic and its salwar are handloom cotton fabrics. The design for this embroidery was taken from a embroidery design book. there it was on small scale, I enlarged it to suit my requirement. 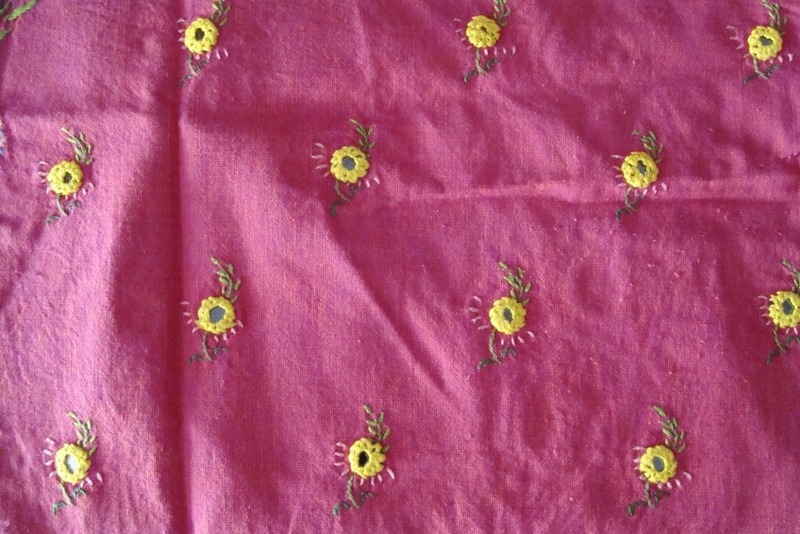 The salwar fabric also had a border, which I used for the sleeves. Other parts of the embroidery on my next post.